This guesthouse was awesome. 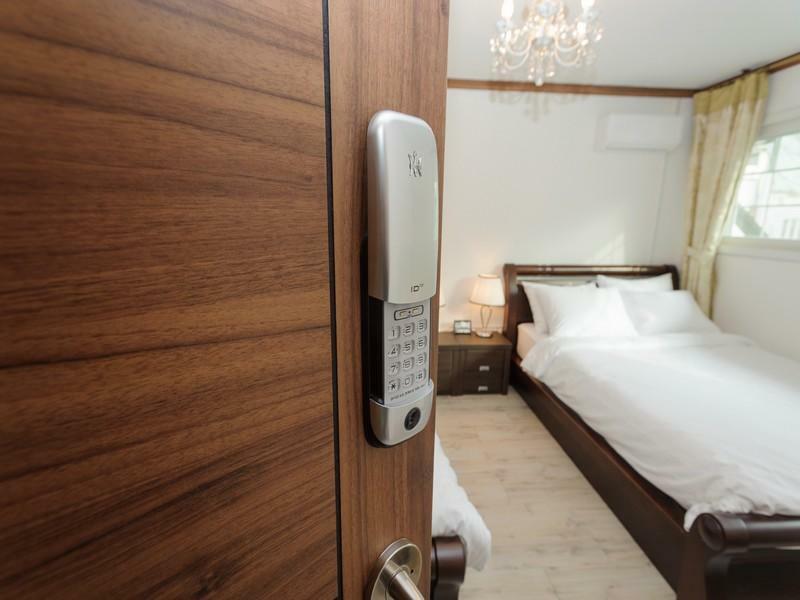 Lovely home, perfect location in the heart of Gangnam. 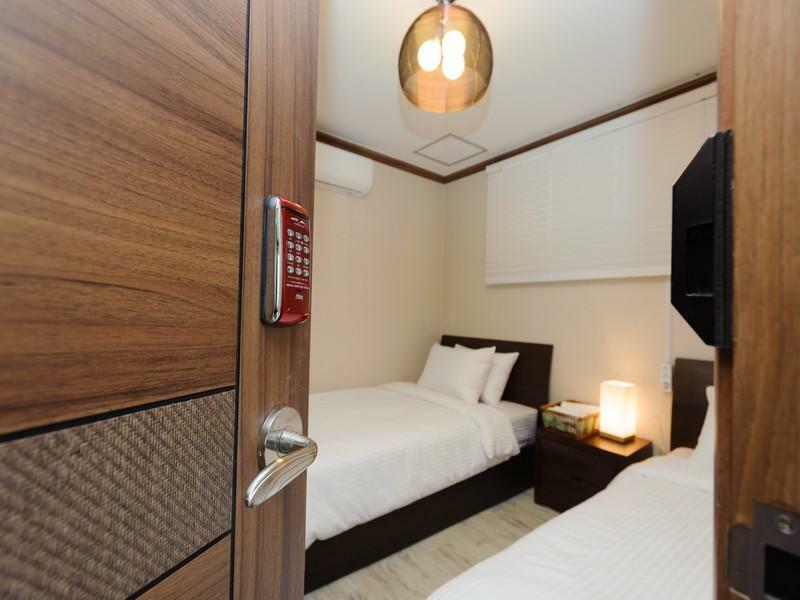 I chose this guesthouse because it is close to express bus gangnam. Awesome owner and staff, kind hearted and very friendly. I love them and I love this guesthouse so much ! John the owner always makesure that the guests feel comfortable during mu stay. He provide basic meals for free including instant noodle, rice, bread, assorted fruits, milk, comsentrate juices, cereal and egss. We can cook at any time as long as we clean up afterwards. I was there for plastic surgery and can also order pumpkin soup as well as chicken soup rather then buy from outside. Shuma, the the staff that speaks english very well also very friendly and well knowledge about Seoul and what to do. She guided me how to take bus from nearby back to the airport and also helped carry my luggage from second floor to the fisrf floor. Thanks Shuma and John for making my days while stay there for five nighrs. it was very cold winter and the room was very warm. I loved the sofa in the living room. It was so comfy. Couldn't have picked a better to stay in Seoul with for 2 weeks. 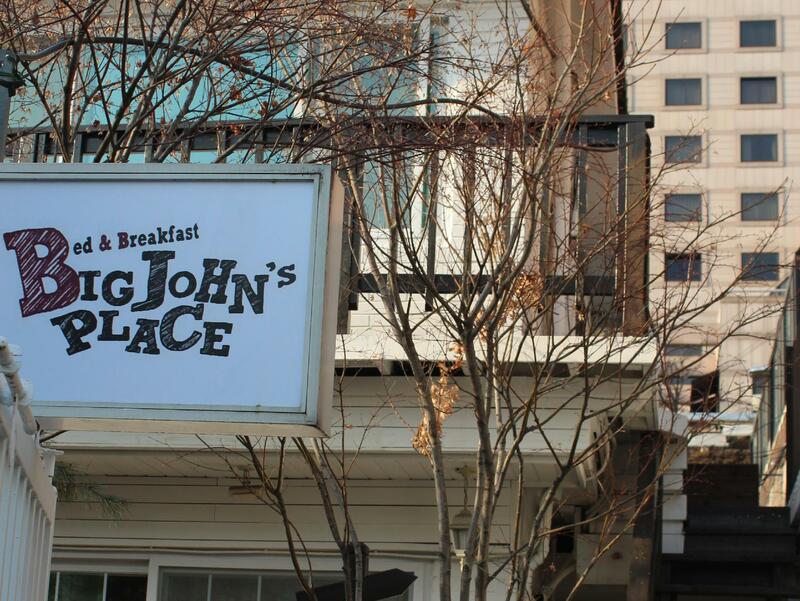 First time being in Seoul and was really worried of where to stay, but Big john's Place was so amazing. Friendly, safe, and felt like a family. Staying there again this july. Cant wait.!!! I LOVE THE BED. I think Big John's bed is the best among all guesthouse's bed I've ever try during my Korea trip. It's very firm and comfortable, just like starred hotel's bed. The location itself is great, in the busy dining area of Shinnonhyeon. It is near with Sinsa and Apgujeong. You can easily find many restaurants, cafes and bars here. There is even a coffee shop right next to the guesthouse. Just avoid taking the wrong alley when you are with your luggage because you will met with steep uphill road. Also keep in mind, if you are the type who likes to sleep early & prefer quiet neighborhood, then Big John's is not the perfect fit for you. When I stayed there, they held a BBQ party & stay chatting + playing music until 2 AM. For Moslem travelers, be aware that John has a dog. A very active one. The stairs is narrow, so you may find difficulties if you brought huge luggage. Bottled juices, instant cup noodles, eggs, cereals, bread, drinking water, all provided in the kitchen. Towels, shampoo and body wash also provided. There are 3 bathrooms + toilets but definitely I'm not interested to use the bathroom outside. You can use the washing machine for free. 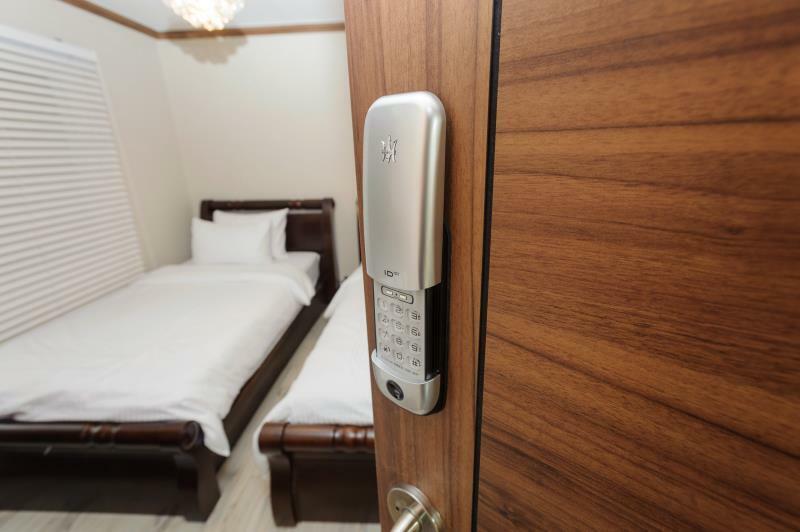 If you are a foreigner without any knowledge of local language , you surely wonder how deep you can communicate with people at your accommodation. And it's not hype that host determines your quality of trip since she or he is a local so can introduce you hidden spots. In that sense, John is a right host for you. Friendly, humorous and a fluent English speaker. Had people talking and drinking right outside the room up until 5am. More like a clubhouse for Korean-Americans than a guest house for tourists. 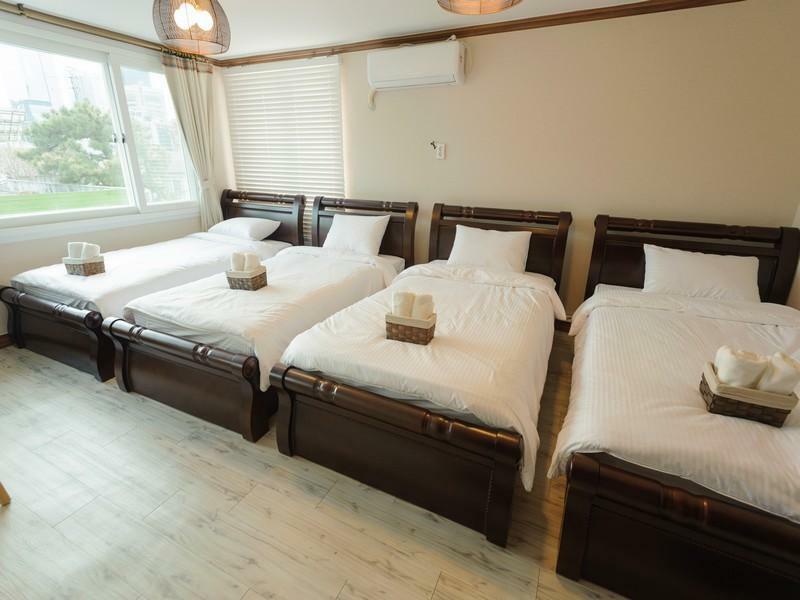 This hostel is located in Gangnam near Shinnonhyeon station. Many hot places are absolutely close. The host can speak English very fluently. They also serve snacks and drinks alday. 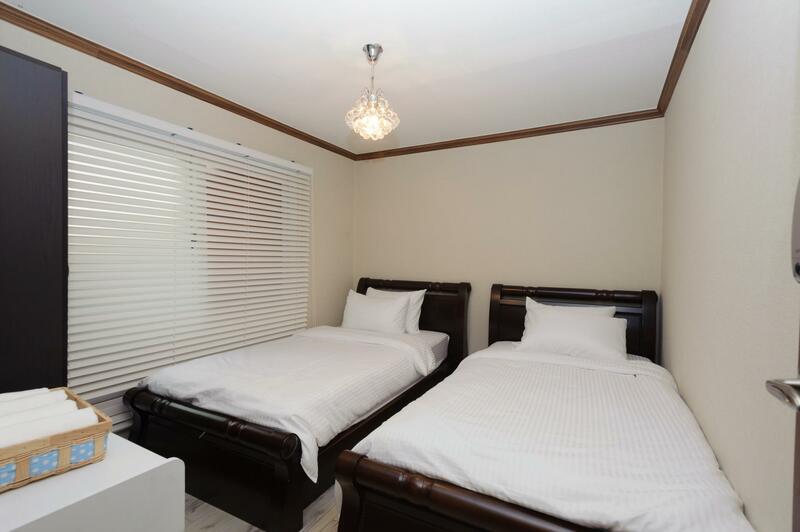 Cheap, comfortable, friendly and good location. I recommend here.